When I found out I was pregnant with James, I swore that I would not let myself worry. I think I mostly succeeded (at least, until I hit the “bonus week,” that’s when I lost my head). Looking back, I know that the reason I was mentally able to get through the pregnancy is because I did not let myself care about the baby, at all. Miscarrying really got into my head, and when I realized I’d had more bad outcomes from pregnancy than good, I braced myself for more unhappy endings. I had so much spotting at the beginning of my pregnancy with James that I was certain it was only a matter of time before I lost him. Since there was nothing I could do to stop it, I mentally checked out. But when I didn’t lose the pregnancy, I never really checked back in. I was too afraid. 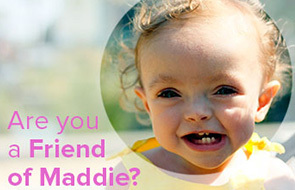 Even though losing Madeline was a million times harder than miscarrying, I did eventually let myself connect with Annabel when I was pregnant with her. With James, though, I couldn’t – it was like I had a block. I didn’t want to get attached to him only to lose him and have to grieve in front of Annabel. I still fought hard, medically speaking, for the idea of James, but as far as actually getting excited for him, it never happened. I never let it. When he was placed in my arms, I waited for the rush of love but I mostly felt fear. My baby was finally here, but I was too afraid that I was going to lose him. He was so little and helpless compared to Annabel. Those first few months, I was really going through the motions. Recovering from my c-section and all the weirdness that I experienced left me so exhausted that I was just trying to survive. It was by far the hardest of my three births and even now, four-and-a-half months later, I still feel like I haven’t fully emerged from the haze. I kept slogging through, telling my brain that I had to stop being scared, willing my heart to open and start letting this baby in. One day, the fog cleared out just enough. I looked down at my baby boy, and I saw him. He lights up when he sees me, snuggles into my touch, and places his head on my chest with a sweet sigh of happiness. I saw him and I finally fell in love, and it was scary, but wonderful. And now, I can’t imagine ever being afraid. A brave post. Thank you. He is such a gorgeous, cute, happy, loved little guy. You are so real Heather. Thank you. Completely off topic…I commented quite awhile back when you were struggling with Jackie’s passing and I’ve felt bad ever since and I just feel like I needed to apologize (I’m not sure why this eats at me, you don’t know me and I’m sure you probably didn’t give it another thought, but it does). I had given some “advice” about taking a roadtrip or something to get your mind off all going on in life, and I feel like the way I said/wrote it may have sounded coldish and silly, like “take a road trip and forget about your best friend dying.” I just want to tell you I didn’t mean it that way or to trivialize anything, I’m just always trying to be a helper when I should keep my mouth shut. It has weighed on me since, and I truly apologize for sounding like a jerk or adding insensitivity in a time of terrible pain. Well, now I’ve certainly made it better by sounding like a crazy person jabbering endlessly to a comment section Anyhow, I’m sorry and thanks for sharing all that you do. You help me want to be a better mom/wife/person, and I thank you. He is so cute….and that is a very brave post. I can not imagine the fear you have felt, but I do know how fear will grip you and almost take over your whole being. Heather he so reminds me of Maddie, and it is heartwarming. Heather I was in the same boat as you. After having a miscarriage and then a spotting problem with my last child, I too went through the motions of the pregnancy without becoming attached as I was sure that I would not carry full term. At 10 days old, he ended up in sick kids hospital in London, ON (amazing hospital) and it was then that I sat and held him and rocked him telling him that just because I didn’t get excited about being pregnant, didn’t mean that I didn’t want him. Everything turned out fine and he is now 16 and everyday I am thankful that I have him. More people will understand this feeling than you realize. I know that my husband felt the exact same way. Beautifully said, mama. And beautiful children. Thank you. I had a hard pregnancy (diabetes, advanced maternal age and hypertension) so I lived in fear all the time that something was going to happen. I was going to eat something that would spike my sugar thus affecting my kid and OMG, he’s going to have some defects. It’s an awful way to live. Then, after he was born, I cried and cried from the PPD and the pain of the c-section. I felt awful for not falling in love with him at first sight like so many people say they feel. 3 months afterwards, I felt it. I love this kid. He’s my favorite person and oh boy, I just adore my son. Thank you, Heather, for being honest about your feelings. I thought it was just me. This little boy is so precious. He is just a ray of sunshine. Thank you for being so raw and real Heather. I felt the same way with my son. I had a lot of spotting and thought I lost him in the beginning, and throughout my pregnancy, I fought HG, Pre-E, and a lot of other crap happened (broken ankle, kidney stones.. ugh) They induced me at 36 weeks because of the Pre-E, and he came out purple and non responsive. After a lot of intervention, he ended up in NICU on a C-Pap. I know you know better then anyone how those moments of absolute uncertainty about your baby so soon after they come into the world, feels. Even for months after he came home, I had a hard time opening up completely in fear. I can only imagine how much harder it is for you. *insanely huge hugs* Thank you for your honesty. It’s a big part of why I check your blog every day and look forward to your posts. Your adorable family doesn’t hurt either. Oh Heather! When I read your post,I feel like to keep on reading for a long time! You are such an amazing writer! You will be very successful writer if you think about writing books! I fully understand the fear. My children are big but I still get panic attack. James is the most beautiful baby boy and never saw any baby that happy in my life. You are blessed Heather! So glad you have this adorable (like, freakishly cute, seriously) child to fall in love with after lots of hardship and worry. His smile makes me so happy! How could you not completely fall in love with those gorgeous baby blues looking back up at you, especially with that joyous smile he has! He is going to be such a heartbreaker one day. So happy for you! He really is a doll. I’m glad you were able to let go of the fear! You and Mike really do have the most beautiful babies. Thanks for being honest, Heather. I understand your feelings completely. After a stillbirth, a miscarriage and lots of complications with my twin pregnancy, I didn’t really believe that I would have two little ones to hold at the end. I guarded my heart so much that it took a while to fall in love with my kids. What an honest, revealing post. I feel many women can relate to this in different ways. I’m in my own weird place. 9 weeks along after 2 miscarriages, with no spotting and we already saw the heartbeat… but I’m still not getting too excited about this. It’s still so early but it feels like longer. I’m in this weird stage… I’ll forget I’m pregnant most of the day. My husband is getting excited and started planning so I’ll let myself get excited with him, but then afterwards, I’ll talk myself down a little, remind myself that this isn’t a guarantee. And (this is probably bad) I’m reading some other stories about stillbirths and heartbeats just disappearing in the 2nd trimester. Ugh. I am all over the place. Like I’m hanging onto the side of a cliff and someone will come save me in 7 months… IF the rail doesn’t break sometime before then. I’m planning the fall AND the rescue. My gracious, are you an honest woman. Thank you. Gorgeous kids Heather! and love your honesty and realness! Love reading your blog! You and Mike have a way with writing… LOVE! I know that feeling, or lack thereof. I had several losses prior to my son, some early on, one in the 2nd tri and I basically just waited for the other shoe to drop my entire pregnancy. I ended up with an abrupt c section after a failed induction and my son collapsed his lung on birth. While he was whisked away to the NICU, I just kept thinking, well there it is, what I was waiting for, I wasn’t even upset just in a total dream like state. He ended up being totally fine and is the love of my life, but I was in a fog for several months, emerging I would say at about 3-4 months postpartum. I do think some of it is chemical, csections do a number on you from all perspectives but there’s also a tiny little part of me that will always be waiting for the other shoe to drop, when you have so much love for another being, any loss leaves a permanent scar. James is so so cute!! Beautiful post, Heather. As others have commented you are not alone. During pregnancies after Jake died I always tried to keep a distance – my motto was that “we are cautiously optimistic.” Always fearing the worst. Sending you hope and hugs. You are awesome for writing this. Glad to hear things are getting easier, and holy crap does he look like his eldest sister in that pic! Love it. If only it wasn’t so taboo for moms to be so honest. Heather – I love that you say what needs to be said. Not everyone feels that instant love when they hold their baby. Sometimes it takes a bit. James is a beautiful little boy and I can see why that fog lifted. His personality is so amazing. He is so so beautiful! Thank you for your honest post. While I have not experienced the losses that you have, I found it nearly impossible to allow myself to connect to my now 5 month old daughter while I was pregnant due to my horrendous HG. It took me a while too, but now I can’t imagine a moment without her. Thank you again! Heather – you do so much good for so many people through your honest writing. Thank you so much for helping others through your own personal pain. Truly a hero to others. I’m so glad you have found that love again. I’m glad for you that you now get to feel the joy of loving that little guy. Man, boys and their moms! I had twin boys — had never been around baby boys, was a little afraid to have boys. BUT. Wow!! I also have a daughter, and I love the mother/daughter bond we have. But the mother/son bond blindsided me in its awesomeness. You and James have so many wonderful times ahead! No one is more deserving of such joy. God bless, Heather. He is so very gorgeous. And in that picture, you really can see his resemblance to both of his sisters! Thank you for continuing to write and work through your feelings here. Over the years that I’ve been reading this blog, I feel like I’ve really come to care about you and your lovely family. I hope one day to be as thoughtful, loving and fun a mother as you are. Thank you so much for this post. I lost my first pregnancy and was not ready when I got pregnant again just two months later. I lived in fear my entire pregnancy, convinced that something was going to go wrong again. Our beautiful girl is two weeks old today and is completely healthy. I’ve finally quit waiting for someone to tell me she’s sick and started to let myself fall in love. Thanks for the post and the reassurance that its ok for it to come with time. He’s so beautiful! I really do think he looks like a mix of Madeline and Annabel.